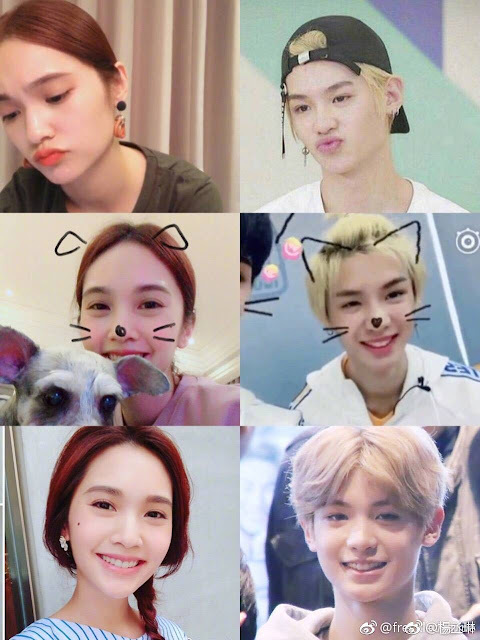 Is Rainie Yang's lookalike Nine Percent's Justin Huang Minghao? 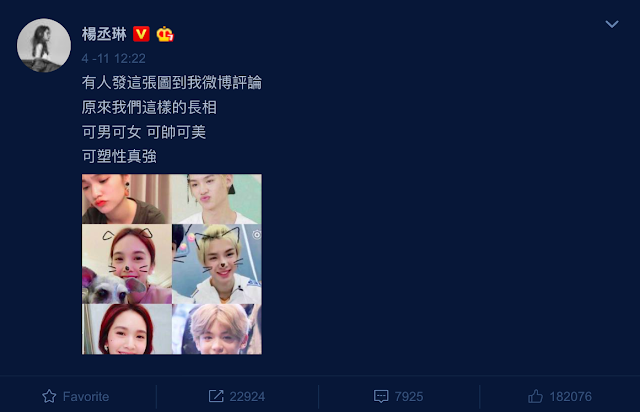 On April 11, Rainie Yang wrote on weibo, "Someone sent this picture to me, it turns out that our looks can be male or female, handsome or beautiful, so versatile." The actress is referring to comparisons between her and Justin Huang Minghao who recently participated and won 4th place in the Chinese reality show Idol Producer. 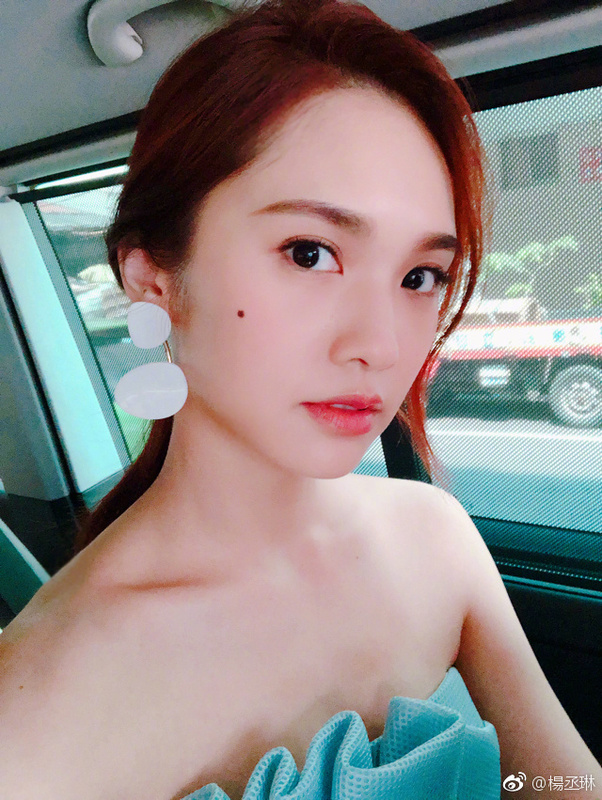 Rainie, born 1984, is eighteen years older than Justin who just turned 16 this year. She's a girl, he's a boy. Actually, I don't see the resemblance other than both of them being blessed with good looks. Apparently, the whole thing started from Justin himself. During a segment on Idol Producer when the contestants were asked who they would introduce their sister to. Justin picked mentor Li Ronghao who also happens to be Rainie's boyfriend. His reason? His younger sister looks like Rainie.